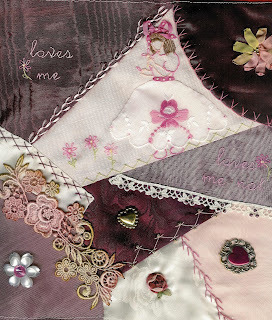 Here are the final three squares that surround the large 20 x 30 center of our MCC Valentine Crazy Quilt. 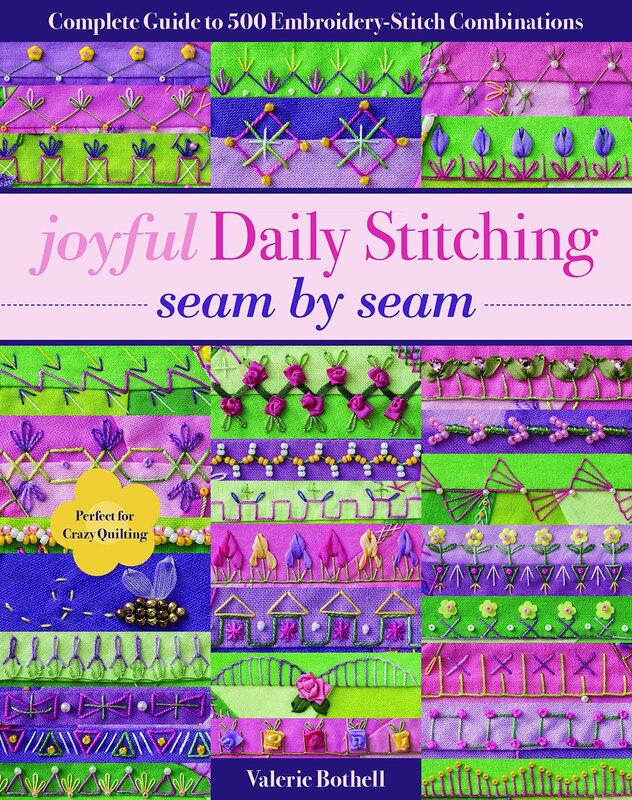 We sewed some of the sashing around the center last Wednesday and will finish up next week. 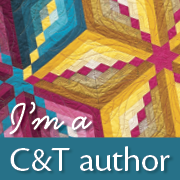 On March 17, we are scheduled with my quilting group to inside tie the quilt. I'll take pictures as we do it! I a few days, I'll post what the large center section looks like. 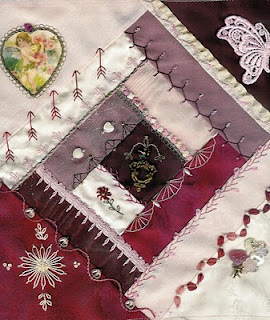 It is really beautiful and I will be anxious to see who buys this quilt at the MCC auction in Hutchinson in April. Since MCC is usually one of the first organizations to appear at natural disasters, I am always happy to donate to them. 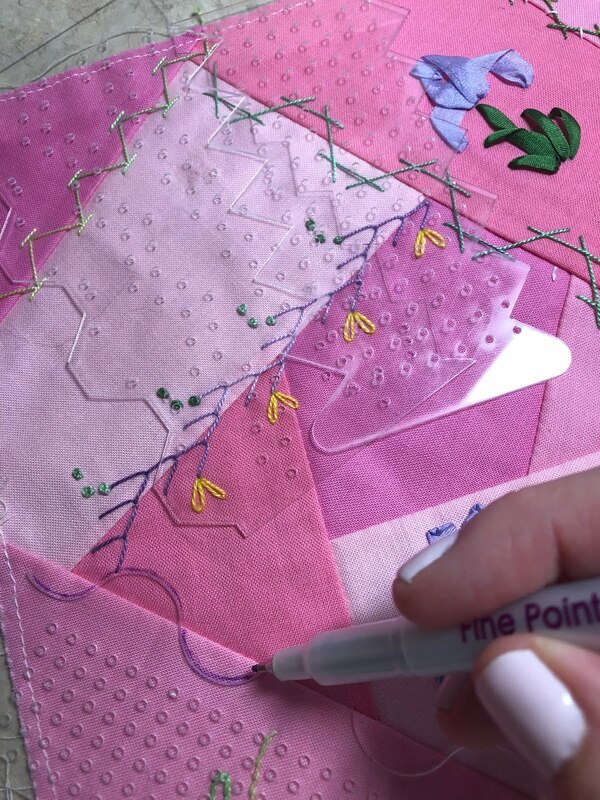 I have been toying with naming the quilt Hearts of Haiti, but I haven't talked to the other members of our group to see what they think. Thank you to all of the ladies who have helped with this quilt, they did a large majority of this quilt and spent many hours of dedicated work. They are all very talented and I feel very honored to know all of them. 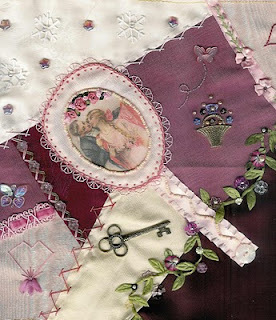 Many thanks to Miss Carole Samples for her inspiration and ideas for this crazy quilt also.